James Hendry joined the Jette Parker Young Artists Programme for emerging talent at London’s Royal Opera House in 2016. 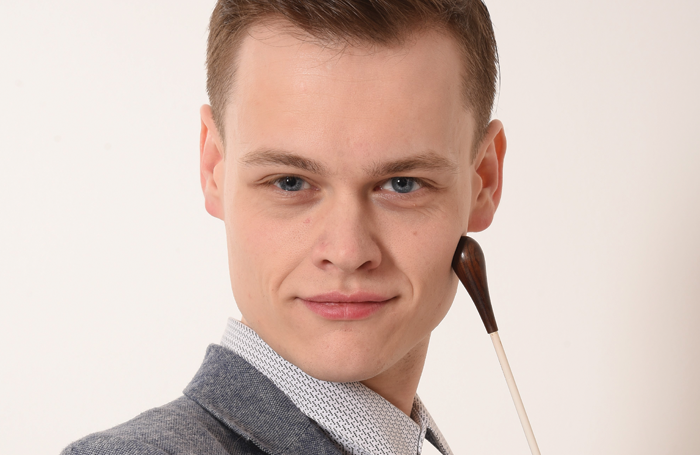 He tells Giverny Masso about what it takes to become a skilled conductor and repetiteur. I come from a typical working-class family. There was no music other than what the average family would listen to, so I wasn’t exposed to classical music. I got into it through school. I had singing and piano lessons and sang in the church choir. In secondary school I started doing musicals, playing in the pit for amdram, then I started conducting. A wonderful singing teacher introduced me to the opera repertoire. How did you get involved with the ROH? During my postgraduate course I met a member of the ROH’s music staff who encouraged me to apply for the young artist programme, which I started in September 2016. I’m being coached by music director Antonio Pappano, who has been incredibly supportive. It’s been a dream to have one-to-one tuition from somebody of that calibre. Along with the rest of the music staff, he’s really nurtured me, especially with conducting, because I thought I was going to come here and play, but they’ve encouraged me to go down the conducting route. What are your ROH highlights? In my first year I worked exclusively with Antonio on three shows, which included Otello. In my second year I did a new production of La Boheme, then I did Macbeth starring Anna Netrebko. It’s been incredible. What do you think makes a good conductor? Conducting is about communication, it’s not about waving a stick around. You’ve got to be a great people person, because you’ve got to stand in front of lots of people and make them do what you want. But to be a good opera conductor, which is different to conducting symphonies, you’ve got to understand drama and you’ve got to understand singers and singing. What does the repetiteur role entail? We play for rehearsals, so when the directors are blocking out a production it’s just us on a piano with the conductor and we are basically the orchestra. We are the singers’ sidekick in rehearsals – we coach them through, they ask our opinion. When things get on to the stage with the orchestra we become more like assistants – we check for balance between singers and the orchestra, conduct some of the backstage instruments or assist the conductor. It’s an exciting job and you have to be multi-skilled. My parents are not rich and music is an expensive thing to do. So it was overcoming my working-class, poor background. A lot of musicians have that issue and I was lucky to have support throughout my undergrad with student loans. If I were to make it big, I’d spend some time supporting younger musicians, because I know how hard it is. But the career isn’t a challenge, it’s an absolute pleasure. Every day you learn something.